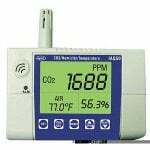 The Supco IAQ55 is a handheld IAQ monitor tester used to measure CO2 levels, dew point, wet bulb temperature, humidity and air temperature. IAQ (Indoor Air Quality) monitoring is important in residential and industrial buildings to ensure proper air ventilation and verify HVAC system performance. This portable indoor air quality monitor uses non-dispersive infrared technology to ensure long term reliability and stability. 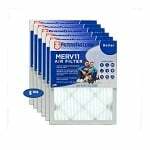 Indoor pollution is a serious problem often attributed with causing illness. 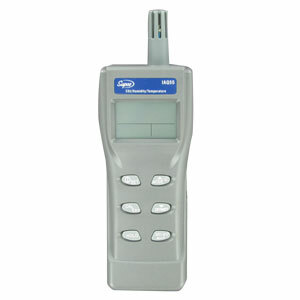 With the Supco IAQ55, you can test indoor air quality to be assured that you are breathing clean, well ventilated air.